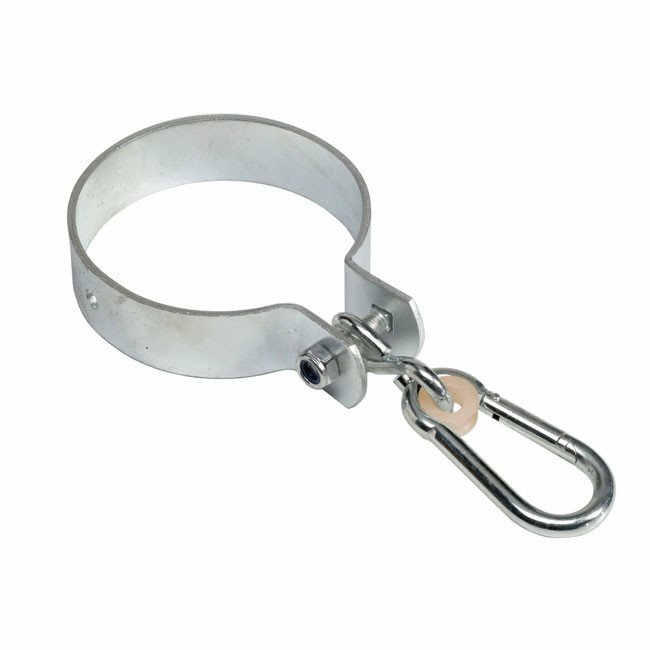 A wrap around swing hanger suitable for 100mm round timbers complete with nylon bush and carabina. Our galvanised steel wrap around swing hanger with nylon bearings are a great component to use when building your own swing. To fit the swing hanger simply slide your hanger across your cross bar and tighten up the securing nuts. 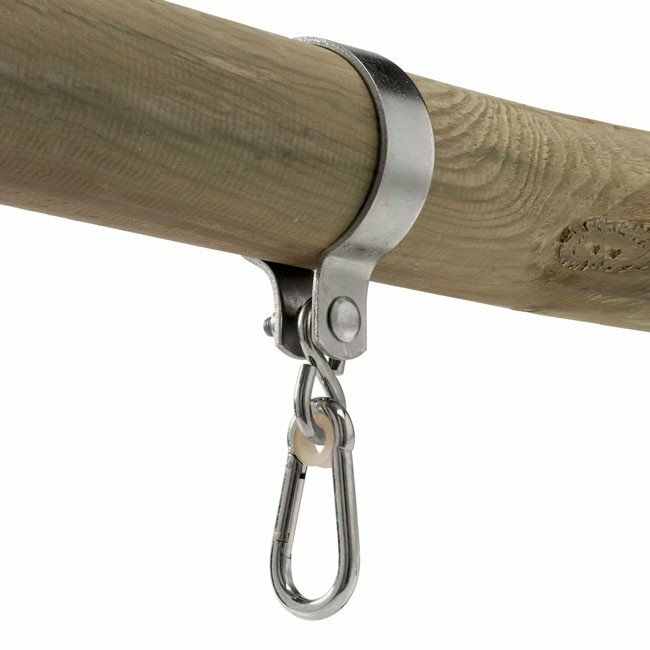 The swing hanger has been designed to be used in conjunction with 100mm diameter round timbers.